This versatile dish can be served hot or cold. It’s great for breakfast or with a salad as a light lunch dish. 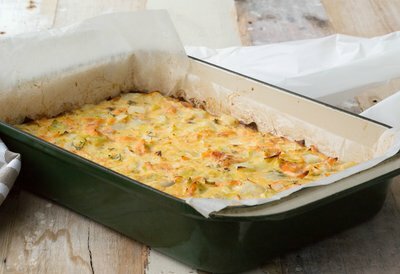 It’s also perfect to take along on a picnic in the baking dish.